For some homeowners, roller shades are the perfect alternative to other possible window treatment options. They may not convey quite the visual statement that other possible choices offer, but this is one of the traits that makes them so appealing. In some situations subtle window coverings, that become more of the backdrop than the focal point, make the perfect choice. This is just one of many reasons why homeowners opt for roller shades in Charlotte. However, to better understand all of the benefits you can gain from using this type of window covering, your best bet is to work with a knowledgeable and experienced industry expert. Locals here know that trusted name is Sweet Shutters and Shades. We believe in going above and beyond when it comes to addressing the service needs of our clients. It all begins with your complimentary in-home consultation, which we can arrange for any day of the week, morning, noon or night. Let us bring our showroom samples to you, in order for you to see your options, in the environment they are intended for – your home. 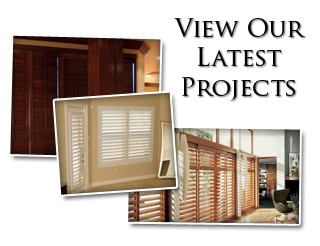 Call our Charlotte shutter company today to set up your appointment. These are a key choice for anyone who wants a functional and low profile window covering. They perform the job they are intended for, while letting the rest of your interior design aesthetics become the focal point. Homeowners concerned about potentially hazardous window treatments that rely on cords or chains for operation will appreciate roller shades. This is a safer alternative, that is still as easy to use. You can get the versatility in the selection making process you want, based on the amount of light blockage you desire. For instance, if you want to retain a certain amount of diffused light, opt for a sheer shade material. 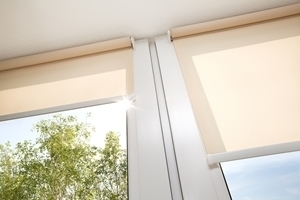 On the other hand, you can also choose blackout shades for the epitome of light control and privacy. This is also an ideal choice for cleaning and maintenance. By ridding your home of the slats and louvers that shutters or blinds have, you have less tedious cleaning work to concern yourself with. If you would like to get started with your free consultation and measuring for roller shades in Charlotte or nearby, give our pros a call today. At Sweet Shutters and Shades, we look forward to helping you understand the options that you have and make the best decisions possible. Let us demonstrate to you what true quality service and results looks like, firsthand. 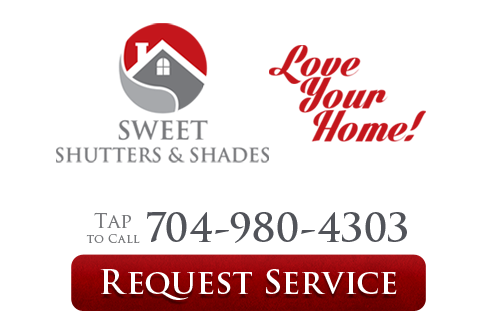 If you would like an estimate for custom roller shades in Charlotte, NC or the surrounding areas, please call Sweet Shutters and Shades at 704-980-4303 or complete our online request form.